The latest data shows that there have been more surrenders particularly from Bihar and Odisha, as the cadre is disenchanted with the ‘outside’ leadership. 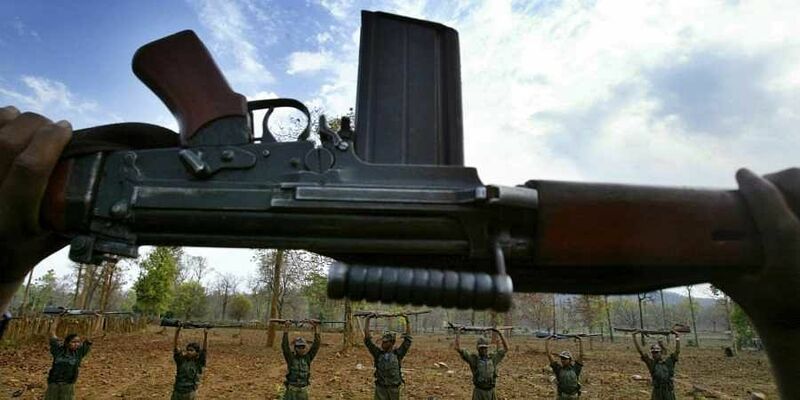 NEW DELHI: Disenchantment among Maoist cadre has led to more surrenders in 2018, official data from the Ministry of Home Affairs (MHA) reveals. The latest data, which has been accessed by this newspaper, shows that there have been more surrenders particularly from Bihar and Odisha, as the cadre is disenchanted with the ‘outside’ leadership. Most of the top leaders of Maoist outfits are from Andhra Pradesh and Telangana. According to the data, a total of 391 Maoists have surrendered till August 2018, while the figure was 682 last year. In 2015, 570 ultras had turned themselves in. This year, Chhattisgarh, at 221, recorded the highest number of Red rebels, followed by Andhra Pradesh and Odisha with 96 and 27 cadres, respectively. According to sources, corruption is also an issue that is behind the palpable sense of disillusionment in the Naxal ranks. “The lower hierarchy of the organization feels that their higher-ups are using funds for their personal benefit,” a senior official said. Jharkhand is one of the states, which has seen the surrender of not only lower cadre but also top leaders like Kamlesh Ganju, who had a bounty of Rs 25 lakh on his head, official records reveal. Security forces, the Inspector General said, are also making conscious efforts to connect with families of the Maoists. “During our operations, we ask our personnel to repeatedly contact the family members of Naxals and have the kin persuade the cadres to turn themselves in. We ensure that their families are not harassed. Simultaneously, we launch an offensive against these groups. They are continuously forced to be on the run,” he said. Latkar was of the opinion that surrender helps Maoists spend more time with their families. “In Jharkhand, there are open jails for surrendered cadre where their families can stay with them. The compensation offered by the state is higher compared to other states,” he said.